Germany, France and the U.K. vowed to maintain the Iran nuclear deal after America announced its intention to pull out Tuesday, but President Donald Trump’s plan to reimpose sanctions has already created economic uncertainty for European businesses operating there. Shortly after Trump’s news conference, the new U.S. ambassador to Germany, Richard Grenell, tweeted that any renewed U.S. sanctions would target “critical sectors of Iran’s economy” and that German companies doing business in Iran should “wind down operations” immediately. The confrontational tone from the ambassador, who had taken the job only hours beforehand, is unlikely to sit well with America’s strongest allies. 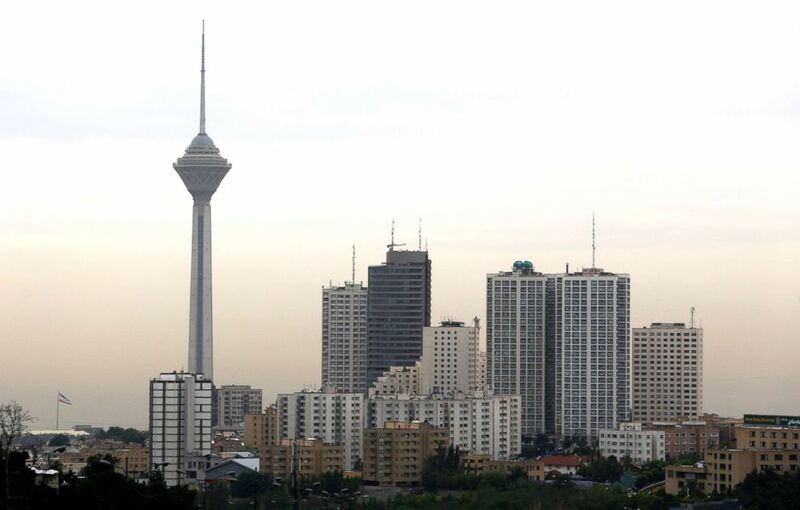 A view of the Iranian capital Tehran and its Milad Tower, May 9, 2018. Carl Bildt, co-chairman of the European Council on Foreign Relations, tweeted Tuesday that the sanctions will “hardly hit US companies” but will primarily affect European businesses. Since sanctions on Iran were lifted in 2016, European Union companies have exported about $10.8 billion in goods to Iran, according to the European Commission. Before the 2006 sanctions, the E.U. was Iran’s strongest trade partner. While it’s now only the fifth largest, trade has been steadily increasing. Germany, Europe’s largest economy, saw a 16 percent increase last year in goods exported to Iran, according to the Association of German Chambers of Industry and Commerce (DiHK). The new sanctions are almost certain to stunt such growth. Because the United States decided to walk out of the agreement, “it is incomprehensible that German companies should suffer,” the association’s president, Eric Schweitzer, said. He called on the German government and the E.U. to look after its businesses operating in Iran. Similarly, the president of Germany’s Federation of German Industries (BDI), Dieter Kempf, said the group “deeply regretted” the U.S. decision and urged Russia, China and European countries to stick with the deal. “This is about maintaining credibility in foreign, security and economic policy,” he said. Germany's foreign minister, Heiko Maas, promised that his government would analyze potential effects on German companies. 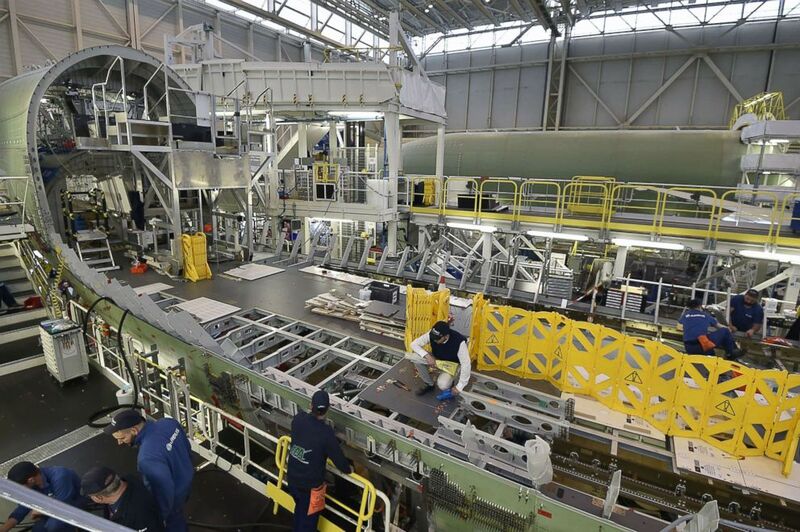 Airbus technicians work on the assembly line of the Airbus Beluga XL large transport aircraft, March 20, 2018 in Blagnac, near Toulouse, France. In the U.K., the foreign office issued a statement saying the government “continues to fully support expanding our trade relationship with Iran,” but warned that new sanctions may have repercussions for U.K. businesses, and urged them to refer to the U.S. Treasury Department website and legal experts for guidance. In France, companies have been aggressively investing and signing deals in Iran since the international sanctions were lifted in 2016. Carmakers Renault and PSA, oil company Total and aircraft manufacturer Airbus have invested millions of dollars in Iran in recent years. U.S. Treasury Secretary Steven Mnuchin announced that licenses for Airbus and Boeing Co to sell passenger jets to Iran would be revoked. 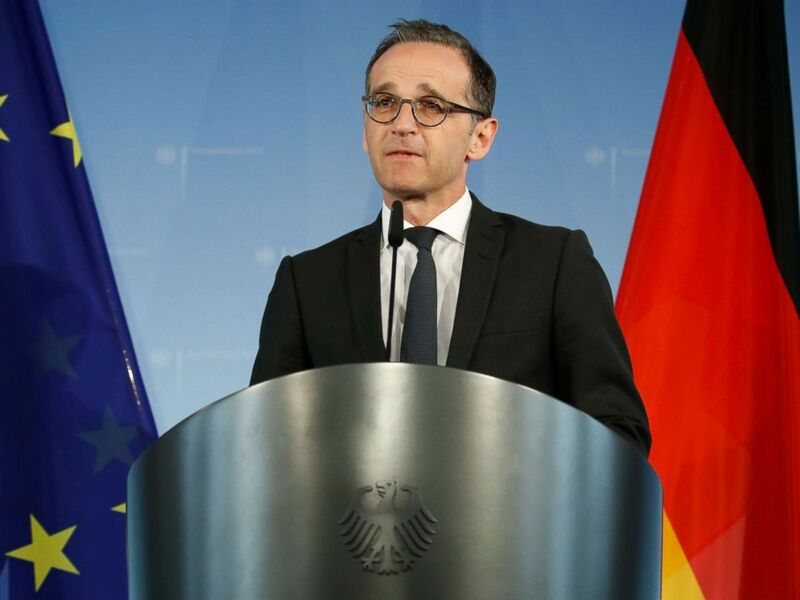 German Foreign Minister Heiko Maas gives a statement, May 9, 2018, in Berlin after US President Donald Trump pulled the United States out of a landmark deal curbing Iran's nuclear program and reimposed crippling sanctions. ABC News' Paul Pradier contributed reporting from Paris.